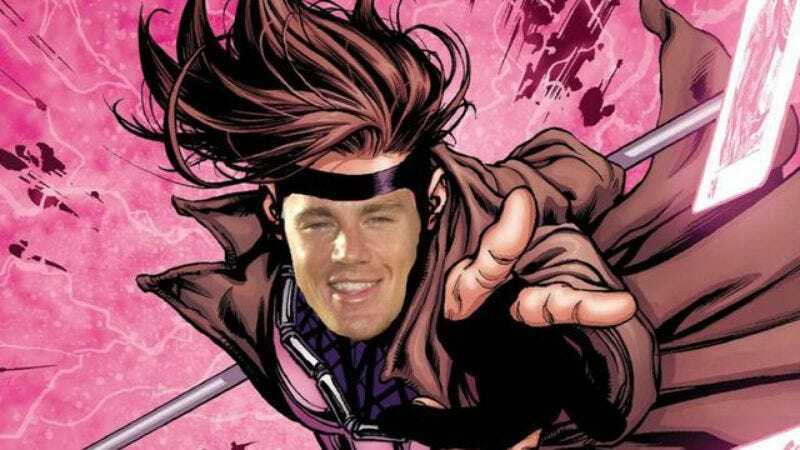 For a few months now, Channing Tatum’s X-men spinoff Gambit has been without a director. Rise Of The Planet Of The Apes’ Rupert Wyatt dropped out back in September, citing scheduling conflicts and not the fact that having just helmed Mark Wahlberg’s The Gambler meant he didn’t want to do two movies starting with “Gamb” in a row. But now, faster than you can say “Mon ami” more times in rapid succession than any comic-book character should, Tatum’s Cajun card shark mutant is ready to go: According to The Hollywood Reporter, Edge Of Tomorrow director Doug Liman is set to take over the film. The trade publication notes that Liman is an unexpected choice, having been the director on two notably troubled productions for the studio, The Bourne Identity and Mr. And Mrs. Smith. But, as is the norm, that can be overlooked, because both of those films made boatloads of money. There’s still no start date on the movie, but now that Wyatt’s been replaced, it should begin production soon. Speaking of which, an unnamed studio exec says the real reason Wyatt left was because of creative differences: “He [Wyatt] wants to make the best version of something, and he’s so desperately afraid of making something not good.” Thankfully, Liman—the director of Jumper, let us never forget—has no such compunction.